Bosley Pro Hair Thickening Fibers – Gray are keratin proteins similar to natural hair. Fibers blend with natural hair that may add density and help create thicker, fuller-looking hair. 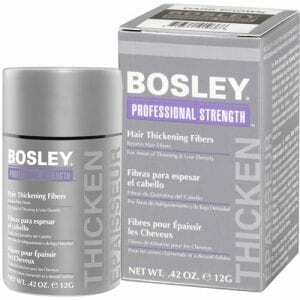 The Fibers cover-up fine and thinning areas of hair and are perfect for cover-up between color treatments.